Lone presidential candidate Emily Lawless discusses plans to improve parking, campus life and student involvement on campus. 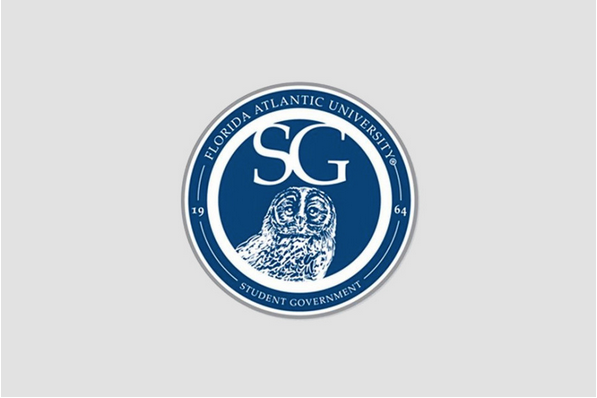 Fourteen students, including members of the Student Government body, came to the annual presidential meet and greet hosted by Florida Atlantic Student Government. The event, held in the Live Oak Palm Room behind the Student Union, allows students to meet the candidates and ask questions regarding their platforms. This year’s event featured the only presidential candidate — Emily Lawless, a junior majoring in communication — and her running mate, sophomore economics major Kyle MacDonald. Both Lawless and MacDonald were introduced by Elections Board Chair Robert Mooney. A range of topics from parking, student involvement, student entrepreneurship to campus spirit were discussed. Lawless said that running for president has been one of her goals since she joined Student Government as a freshman and that she feels she is the most qualified to run. The junior said that student demands, especially the 20th Street initiative — which would bring a college district to the city of Boca Raton — is a problem that would be addressed. According to Lawless and her running mate MacDonald, there are rules in place that make such a demand difficult. “With the city, there are laws in place that are saying otherwise. So we’re working with the city to hear how can we help them and what we can do and then working to rewrite those resolutions,” Lawless said. MacDonald said that he and and his running mate have discussed running for office for some time. “I’ve known Emily for a while with her being in the House of Representatives, and [it] kind of came up in conversation one day about who’s going to run next year,” he said. “Both of us identified that we have a lot of goals and that we both want to see a lot of things change and me and Emily sat down one day and said, ‘Hey, we should run for this position,’” MacDonald said. MacDonald added that because both he and Lawless have worked together before in Student Government, they have a dynamic that would be beneficial to the student body. 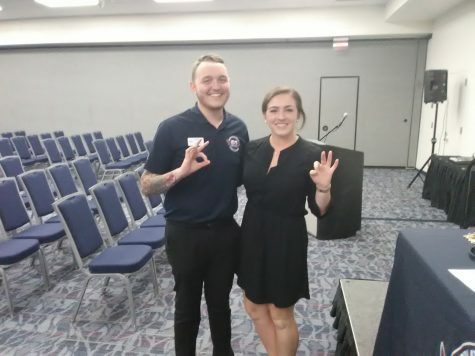 “We’re both members of the Greek community, both of us served in Student Government, so we have similar experiences … We both said, ‘Hey, 20th Street is a thing, we need to work on that. We need to make sure that student life is thriving.’ So we both identified that,” MacDonald said. For spectator Roberto Banbanaste, a junior majoring in finance, the event was a success. He felt that the candidates addressed his concerns, especially about parking. Elections take place on Feb. 21 and end at 11:59 p.m. on Feb. 22. Students can cast their votes via Owl Central. Roberto is blowing that out of proportion. At most circling up and down both parking garage 1 and 2 from parking garage would take 10 minutes. Ten. In that same time, he could park his car in Lot 5 and walk to class. He wouldn’t need to drive around for 30-40 minutes. There’s parking, it’s just not all convenient, and the cost of building another parking garage is significant.